Hi Stampers. I hope you had a wonderful weekend. The weather was just BEAUTIFUL in Northern California this weekend. It was in the low 70s this weekend here. Quite the contrast to the snow I see my friends and realatives posting about on Facebook. How’s the weather where you are? 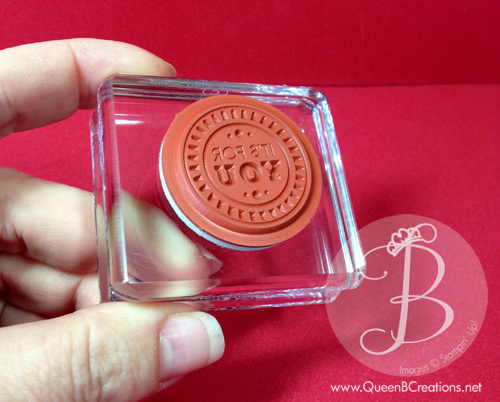 I’ve had a few customers be a little confused about the types of stamps that Stampin’ Up! offers. 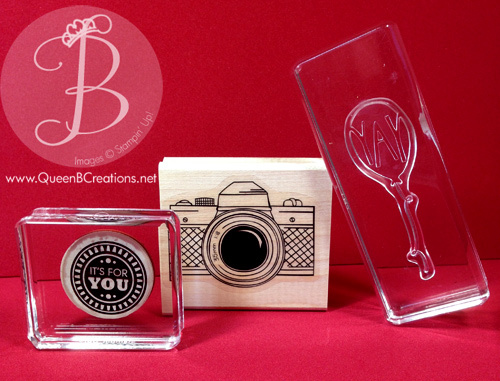 Stampin’ Up now has three types of stamps: Wood mount, Clear mount and Photopolymer. Wood mount stamps are the traditional type of stamps that most people are familiar with. They are a block of wood with a layer of foam and then the red rubber stamp attached to the wood. 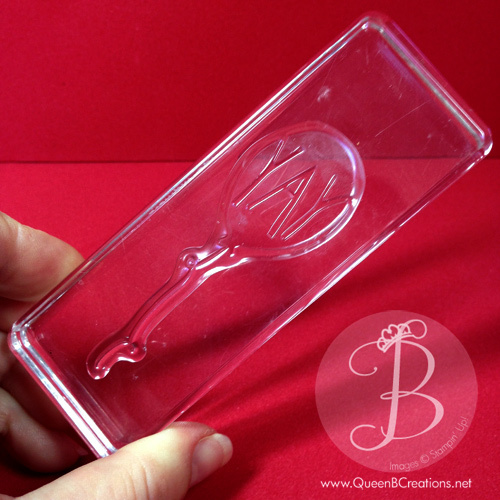 These are great for people who want to be able to grab the stamp and stamp right away without needing to mount them first. The downside is they take up more room storing them and when stamping, you can’t see through them so you are estimating where the image will go. Note: the stamp-a-ma-jig can be a great help for this. The next type of stamp that Stampin’ Up! has is the clear mount stamp. In the catalog it is listed as “clear” – I think this is where the confusion comes in. It’s not a clear stamp it’s a clear block. These stamps are the traditional foam with red rubber. 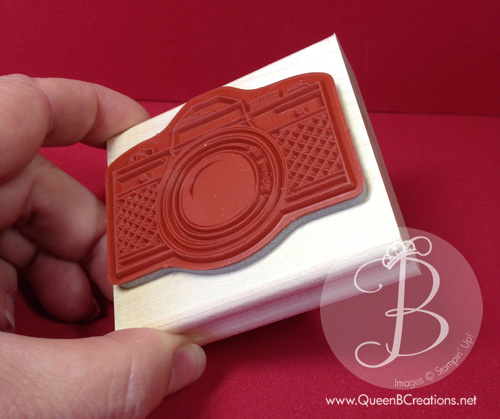 The benefits are that they are less expensive than the wood andTe take up less room for storage but still give you the foam cushion to help get a good impression when stamping and the fact that you can see through the block for easier placement. The downside for some is that they have had trouble with the stamp not sticking to the block. Note: I find this to be a problem with the oils from my hands and that if I keep the stamp and the block very clean I don’t have this issue. For those in colder climates, keeping them warm can be helpful too. The most recent type of stamp to enter the Stampin’ Up! line is the photopolymer stamps. These stamps are clear all the way through. The benefit being that they are the easiest to stamp with when placements need to be exact. This makes them perfect for double and triple step stamping. They are the least expensive type of stamp and also take less room to store than the wood mount stamps. The downside is that they will get stained by the inks. Some people actually like it and say it makes them easier to find on their stamping surface. other people are really bugged by the staining. So, I guess it depends on how you look at it. The other downside is they do not have the foam in the stamp, so you should have a foam surface below the cardstock to cushion and help you get a better impression. Note: the Stampin’ Pierce Mat can be used to help with this. At my parties and classes I try to have all three types of stamps and allow my customers to try the various types to see what they like. I have customers that insist on the wood mount, some that love the clear (like me) and some who swear by the photopolymer… So, you should try all three types and find what works best for you. I’m also including a video on how to mount and store your clear mount stamps. Enjoy!